Cixi U. - Master Music Teacher makes learning music fun! 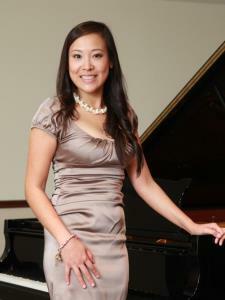 Jennifer W. - Certified Music Teacher with 10+ years of experience! Connecting with General Music Tutors at HBU is easy on Uloop.com. Browse for HBU General Music Tutors and more in and around Houston, TX. You can check out General Music Tutors listings from Houston Baptist University students and profiles from local Houston residents. To make things easier, you can narrow your HBU General Music Tutors search down using filters to refine results and enhance your tutor search experience. Share relevant HBU General Music tutors with Houston Baptist University classmates to make the tutor search process even faster for them. Utilize Uloop.com to find HBU General Music tutors today!